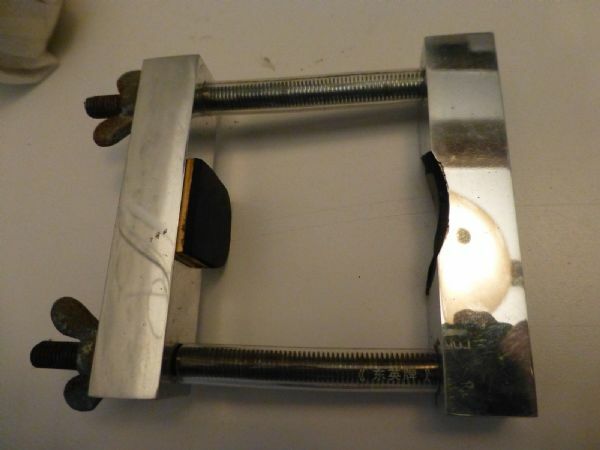 HERE IS A QUALITY CRAFTED TOOL FOR CLAMPING NECK TO YOUR VIOLIN BODY. GREAT FOR MAKING AND REPAIRING VIOLINS FOR THE LUTHIER OR VIOLIN ENTHUSIAST. NICE GOLD COLOURED BRASS. ALSO CAN BE USED FOR OTHER CRAFT WORK. U.K. SELLER, FAST DESPATCH.